Made the app work better with the new iOS version! » Find the Word - seven clues, one answer! 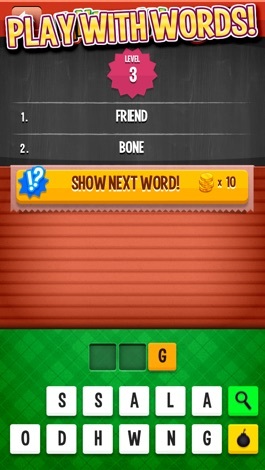 In Find the Word, you’re given one clue at a time to guess each key word. There are only seven clues, but they get progressively more revealing (and more costly!). You can challenge your brain with everyday riddles or music and movie questions! What’s the Word is 100% free to try! The layout of this app is basic and easy to use. 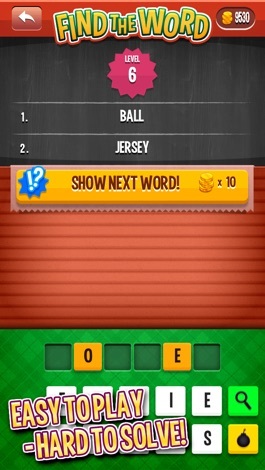 Simply click on each provided letter to spell your guesses. Short clues keep the game moving – except for when you get stumped! Each clue can be accessed with hint coins, which are earned every time you answer a question. They can also be purchased in the app store. Careful, though – the easier clues cost more than the hard ones! 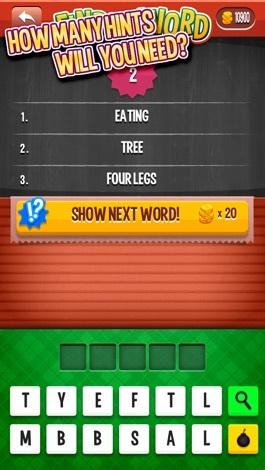 Find the Word has several different categories. Play it with your kids in the Easy version. Bend your brain with the Hard version. Quiz yourself with the trivia categories: Film and Music. 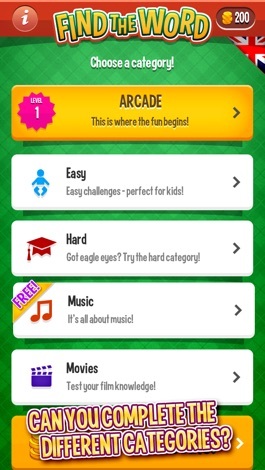 Or find endless questions, from everyday objects to geography, in the Arcade version. Are you ready to face the Find the Word challenge? A simple and easy to use app to convert any photo library image to JPEG or PNG format. Great for images downloaded off Safari that are in a format that other apps cannot use. Grab your board and head for the hills! Experience the fun of skating to town in this fun filled rush of a game! Watch out for obstacles, jump and tilt your way to the top! * Colourful 3D graphics! * Pickups, speed boosts, tricks and more! Beat your friends top score today! 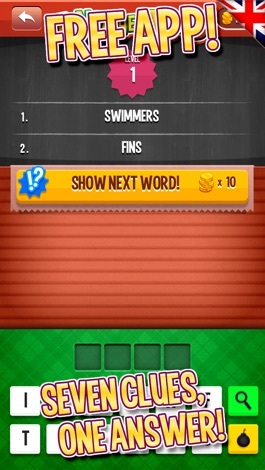 Download Find the Word - seven clues, one answer!